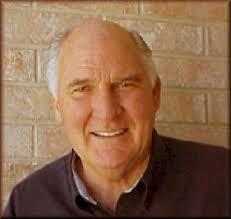 Ed J. Pinegar is the author of over sixty nonfiction books and audio CDs. A retired dentist, he has taught religion part-time at BYU for nineteen years and institute full-time in Orem, Utah, for ten years. He has also taught early morning seminary and at the Provo MTC. He has been a bishop, stake president, mission president, and president of the Provo MTC and the Manti Temple. Who better to teach us about the atonement of Jesus Christ? Dipping deeply into his wells of spiritual knowledge and testimony, and then taking pen to page, his latest offering is a gentle but profound treatment of what Christ has actually done for us. Ed’s newest book, published by CFI, an imprint of Cedar Fort, is called Gethsemane, Golgotha, and the Garden Tomb: the Sacrifice of the Exalted Son of God. Reading this book is a must for anyone who has relaxed into his Christianity, missing the overwhelmingly powerful promise of the atonement. The atonement may not be fully understood by any of us until we have spent eons in eternity realizing its greatest blessings, but this book can really help us here in mortality to recognize the grandeur of it. As a father, mission president, temple president, and priesthood leader, I have seen countless examples of how the Atonement has transformed people’s lives….I have witnessed the healing of souls. I have seen a change of heart. I have seen sins literally removed from their very being. I have seen guilt swept away. I have seen forgiveness cleanse the soul of a victim of abuse. I have seen behavior change as gratitude for the Savior brought commitment into their lives. I have seen commitments made and covenants kept by the enabling power of the Atonement….I bear witness that the Lord’s Atonement is not only the center of the gospel of Jesus Christ but also the center and strength of our very lives. I was astonished near the beginning of Brother Ed’s book to see that one chapter quotes Isaiah for its subheadings. But this is the most comforting sit-down with Isaiah I’ve ever had. Ed uses Isaiah’s references to the Savior’s traits and experiences to teach us the details about Him. Just as we feel we are beginning to know and understand Jesus, Ed takes us into His great Intercessory Prayer and introduces us to the Christ. Bit by bit and line upon line, Brother Ed builds the transcending greatness of both the Savior and The Plan, and our understanding deepens. As this happens, so does our peace. Even when Brother Ed tries to help us to fathom the suffering of our Lord in Gethsemane and Golgotha, that peace deepens. He then urges us to appreciate the Savior’s suffering and be grateful. As our gratitude increases, so does our compassion for the Savior’s sacrifice for us, so does our desire to pray and feast on the scriptures. These things in turn increase our understanding and ability to use His atonement. We desire both to forgive and repent. I certainly felt grateful when Brother Ed began actually to explain what the atonement is and how to fathom it. He talks about how to find it in the symbolism of the scriptures, including the parables. He talks about how the atonement covers our sins, nourishes us in our weakness, sustains us during times of trial, strengthens us in our infirmities, protects us from temptation, and enables our resurrection and eternal life. Along the way, Ed tells us stories from his own life to illustrate the principles he teaches. I found these to be very enlightening. Once we call on the power of Christ’s atonement, we desire to change, to purify ourselves, to do good. Brother Ed helps us in that direction. I highly recommend Gethsemane, Golgotha, and the Garden Tomb to anyone seeking in that direction.